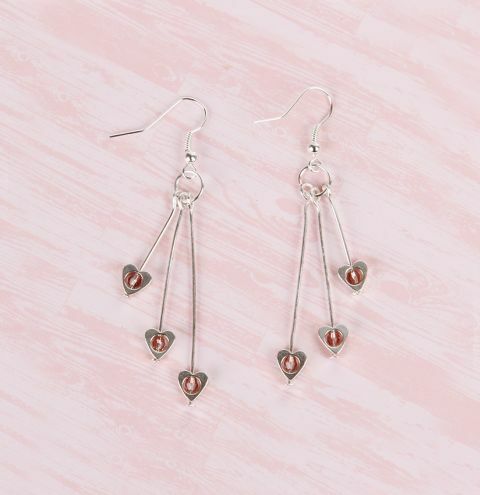 Make a cute pair of heart earrings for a special occasion with Swarovski crystals! As featured on the BD blog. Place a crystal bead inside a heart spacer bead and thread the two onto a headpin. Turn a loop at the end of the headpin. Create two more of these, one that measures 1.5inches and the other 1 inch. Open a jumpring, loop it through the ear wire and attach the three headpin hearts. Close the jumpring and repeat the previous steps to make your second earring!